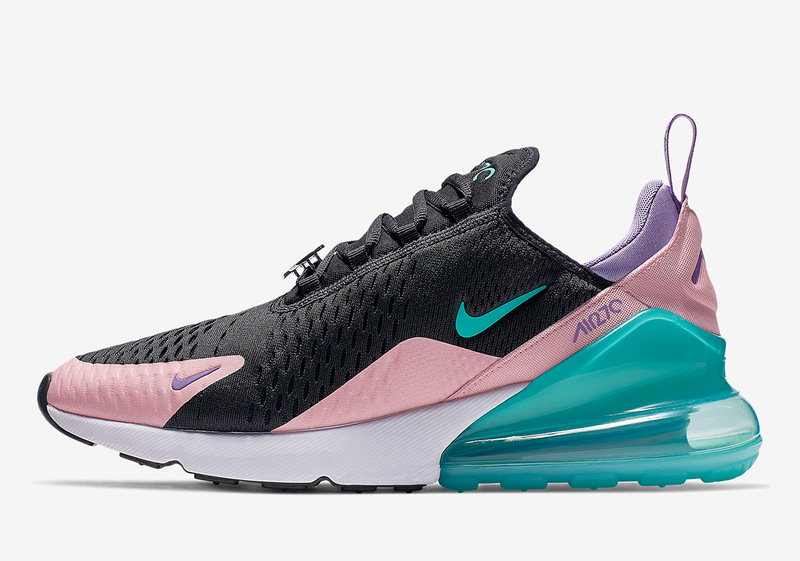 Nike’s vast array of “Have A Nike Day”-inspired Sportswear selections is rolling right along with one of the Swoosh’s most influential new models from 2018, the Air Max 270. 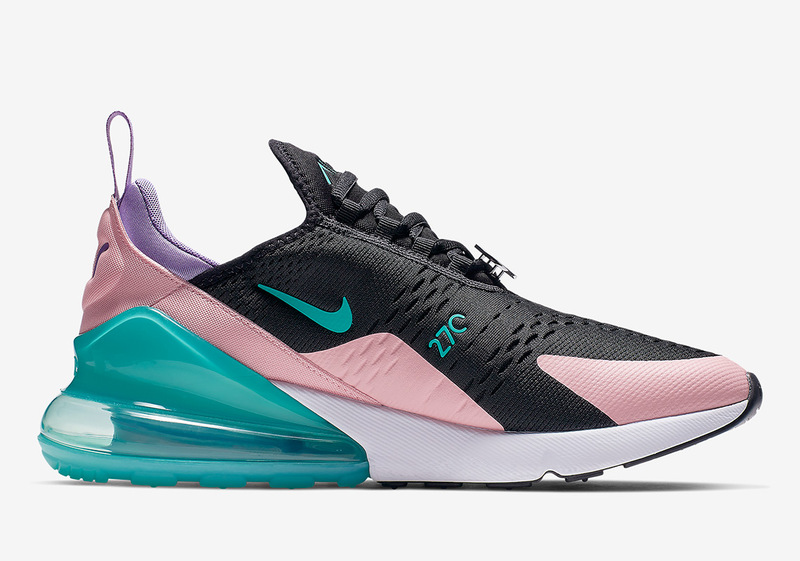 Just like “Just Do It”, “Have A Nike Day” is one of Beaverton’s iconic catchphrases that has helped its continued rise to the top of the sneaker industry’s elites. 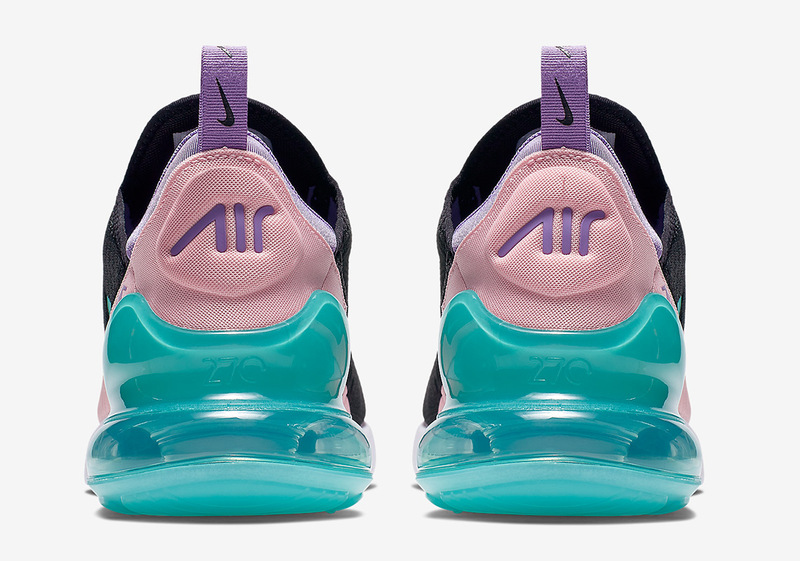 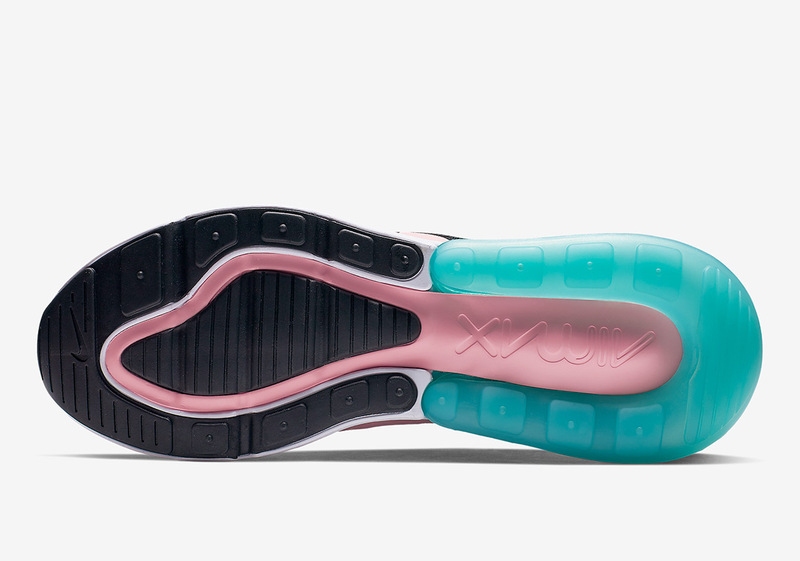 Dressed in a decidedly vintage color scheme identical to its Air Max 1 predecessor featured at an Air Max Day event in Greater China, it combines shades of purple, pink and teal, with help from black in an effort to neutralize its boisterous aesthetic. 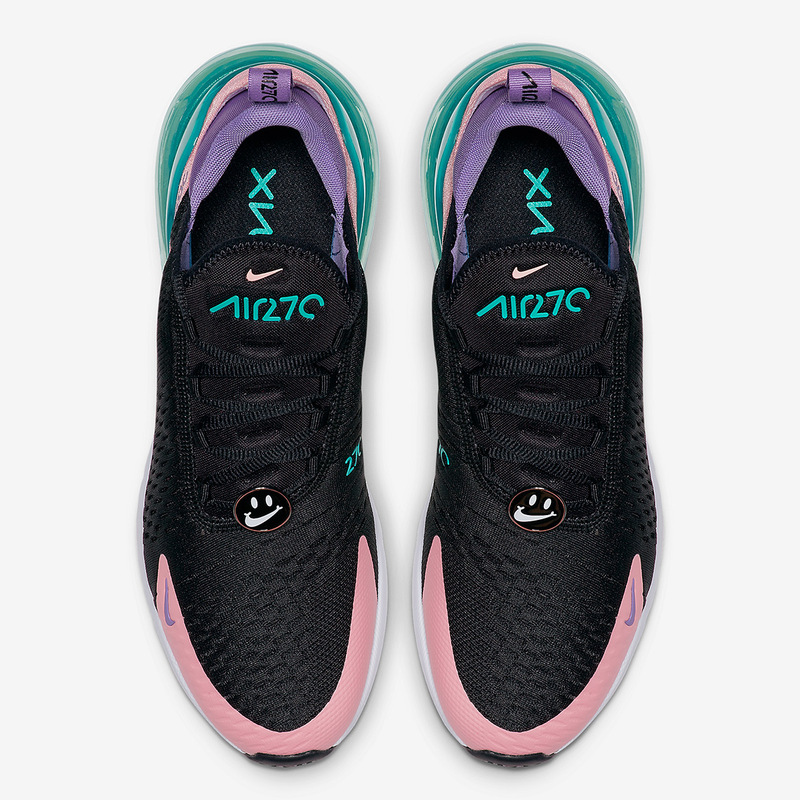 Much like the majority of the rest of this esteemed collection, Nike has opted to equip this 270 with a Swoosh-laden smiley face harkening back to the marketing campaign’s glory days and reminding new-age sneakerheads of Sean Wotherspoon‘s illustrious Air Max 1/97 from last year. 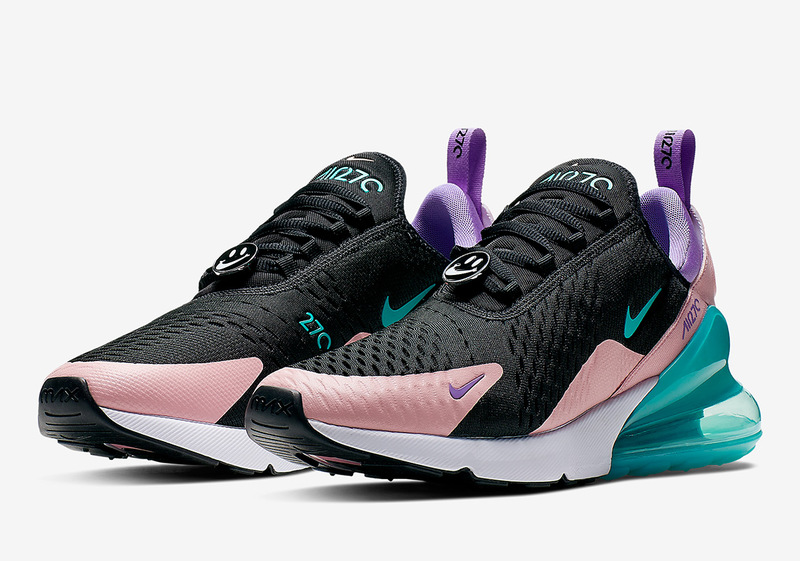 With official images available below, enjoy a detailed look and stay tuned for updates regarding the release date of the entire “Have A Nike Day” capsule.